All this month, we’ve been focused on the theme of pitching. We started out by talking about why many creative problem solvers shy away from pitching, leaving it up to CEOs, founders, and salespeople. But pitching is a valuable skill that all of us need to hone in order for people hear us out, adopt our ideas, and believe in our solutions. To help you embrace pitching, we shared the most common mistakes people make when pitching and how to overcome them. Then mentioned that the most effective and authentic pitches boil down to a powerful technique many of already do every day, storytelling. We covered why storytelling is powerful, how to condense a story down, and weave in our credibility. By now you hopefully understand the importance of pitching, but you might be worried about having to pitch different audiences, and what to do in a setting where you only have 5 minutes or as much as 50 minutes to pitch. how to practice your pitch so you deliver it effectively. 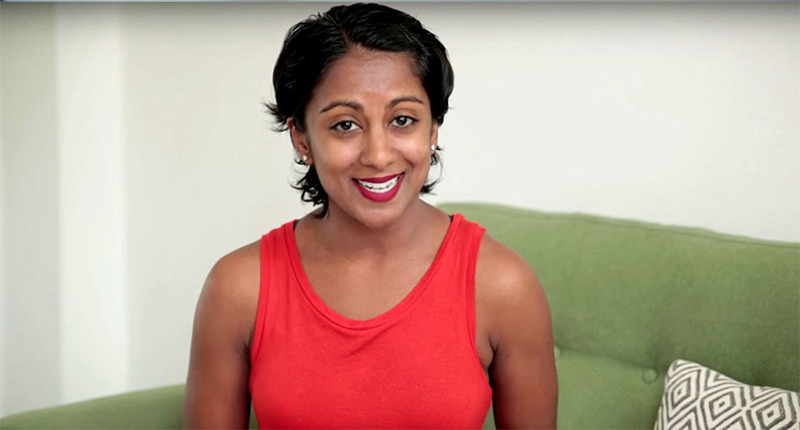 Poornima Vijayashanker: Hey guys, we’ve been talking about pitching. I previously talked about the common mistakes people make when it comes to pitching, as well as some techniques to help you pitch in a way that resonates with your personality. If you missed either of those segments, check out the links to them below. In today’s final segment, I’m gonna dive into the various types of pitches you need to prepare. Welcome back to Build, brought to you by Pivotal Tracker, I’m your host Poornima Vijayashanker. Each episode of Build consists of a series of conversations I host with innovators, and together we debunk myths and misconceptions related to building products, companies, and your career in tech. I’m joined again by Marie Perruchet, who is the author of the latest book, One Perfect Pitch, and in today’s final segment we’re gonna dive into the various types of pitches you need to prepare. Now Marie, we are all pretty familiar with the elevator pitch, right? It’s 30 to 90 seconds, and everyone obsesses about it. But in your book, you actually talk about having a lot of different types of pitches, or different lengths, right? Having even a longer pitch, and then whittling it down to that elevator pitch. So let’s start by talking about why you should have a longer pitch, and what to put in it. Marie Perruchet: Yes Poornima, people get fixed on the idea that they should have just one pitch, but actually you need many pitches, because they should be tailored to people you’re talking to. If you’re pitching a bid to see a company, or a bid to be company, it’s gonna be a different pitch you know. If your software is addressing different industries, your story should start with a different character. And the reason why I say that you should have a longer pitch, is that you should accommodate it, and make it flexible depending on the situation, and that over time, depending on the data points that you get, you rearrange your pitch. Also, why it’s important to have a longer pitch, is that you can actually break it down and share the parts that you want to share, depending on the time you have, types of setting, the timing, the location; so many components that you have to include when you’re presenting. Poornima Vijayashanker: Got it. So in a longer pitch, let’s say we wanted to build our longest pitch, and it was what? Would it be like 15 minutes, or 10 minutes? Marie Perruchet: It can be an hour, it can be two hours. Marie Perruchet: It can be five minutes. But definitely a great pitch would include a hook, a great hook, how you catch attention from people. It should talk about the problem, all the momentum, the achievement, or the breaking news, you know, what’s new about your product. Talk about the solution, telling why you’re the best at doing what you do. You know, great team, great founder’s experience, you’ve had those awards in design, you learned to build the Siri technology. Talk about your key differentiators, because so many other companies, all building the same product, or as advanced as you are, or you are belonging to a group and everybody’s competing for funding. So you should be able to tell what makes you different and better than the others, and then you end talking, maybe about the market, or talking about the go-to market strategies, and finishing with an ask. You know, how do you want people to help you to build, and share, and keep working at your product. Poornima Vijayashanker: Got it. So your longest pitch has every single element that you talk about in your book, and all those various pieces. Poornima Vijayashanker: So now, taking things away, that feels scary, ‘cause it’s like, “Well, yeah, the award was important.” Or, having this one key player on the team was really important, so how do you know what to take away for those shorter pitches? Marie Perruchet: As the minimal available product, you have to test your pitch. And what’s important here, and people usually don’t pay attention, you should listen. You should listen how people reformulate their pitch, and that was one of my early techniques. You know, when I came to Silicon Valley eight years ago I had no pitch. And what I would do is that, at the time, helping founders, helping them, talking to them, explaining what I was trying to do, and telling them, “Hey, what do you think? What did you hear? Could you articulate what I’ve just said? What makes sense, is it simple enough? Does it make you think of something else?” So trying to have those open questions. And then, as you take down notes, if you’re quick enough or used to that, or you can actually record with your phone, you know, videotape or just taking your voice recording, and then you replay it to yourself later on. And you see which words people are using. And you know, politicians, they do the same. They test it, and they see what the press picks up. And so, then you have to pick it up again, and then replay it, and practice it again, until, you know, the one day your pitch will be perfectly tailored to the person you’re pitching to. Poornima Vijayashanker: Got it. OK, so see how people reformulate your pitch, and what are the highlights that they talk about when they do, and then that will help you kind of condense it down. Poornima Vijayashanker: Nice. Do you have an example from any of your readers, or companies that you’ve coached, where they went from a long pitch to a shorter one? Marie Perruchet: Yes. So I worked with a company called Autodesk, and we worked with their marketers, and they would send me their pitch and I would review those pitches. And most of the pitches, they’re very long, and include information that is not relevant to their audience, or they don’t have a very specific call to action. So, I would go over and actually shorten the pieces that were not relevant, and then have them rewrite their pitch so that it would be a little bit more focused. We start with founders, but also engineers and designers. What we do is that, if they have a 50-slide, or even 25-slide presentation, I’d listen to them, so that’s kind of a first run. And then I tell them, “OK, this is what I think is important to highlight, depending on the time we have, and your target audience.” And then I have them reformulate it and reframe it, and it gets much easier after we have them practice as well. Poornima Vijayashanker: What are some of the common things that you ask people to take out? Marie Perruchet: Usually when I work with founders, but also engineers and designers, I like to focus on the story, you know, what makes them passionate about what they’re doing, what drew them to work on developing that product or that project, because what I like is that understanding people perspective. They see things that I don’t see, and this is from a more technical perspective, and what they do can actually change your situation. So I wanna know what drives them, and what are the problems that they’ve identified. And then they can share it with others. But you have to be able to communicate it in a very short and concise way, ‘cause you know, I’ve been in the room with investors, entrepreneurs, and after 20 seconds they’re being interrupted. So you have to give it right away. Poornima Vijayashanker: Got it. And so what are those pieces that you’ve seen over and over again, that people might put in that bloat their pitch, that you like to remove? Marie Perruchet: The pieces that I like to remove is repetition, is rambling, is talking too much about the 50 features and characteristics of their products. I just want to hear about three features, and really defining features. Engineers tend to overwhelm you with too many details, they think that you wanna know more, so you have to understand and tell as much as possible, but this choice, you have to make it for people. You cannot let people make their choice for yourself. You have to work ahead. So don’t overwhelm people with too many details, too many features. Poornima Vijayashanker: In your book you also talk about the importance of having pitches that are tailored to your audience. So question to you, how do you figure out who’s in the audience, and then how do you go about doing that tailoring? Marie Perruchet: You absolutely have no excuses for not knowing who’s in your audience. Marie Perruchet: There’s so many ways today, on the internet, to get information, and pull information about people, their taste, their location, what they’re doing. If you’re working in a company, you have to ask your workmates, you know, what a person likes, or is it a great timing for you to pitch to them, getting as much information internally. And also, for example, if you’re speaking at a conference, you have to know beforehand, you know, the profession, the level of expectations. When I run a workshop, usually I send a survey before, through Google Docs, and ask people, you know, your expectations, how much they’re knowledgeable, so it’s great, kind of a quiz to engage people, and making them feel that what you’re gonna say is going to be for them. Poornima Vijayashanker: Yeah, I think that’s really important, tailoring it to the audience, and doing your homework ahead of time, to knowing what that audience is. Now, I do know a lot of times people get overwhelmed because they think, “OK, my audience is going to be a bunch of engineers, and there’s a lot of different levels of engineers. How do I whittle it down to, maybe the beginner, versus the advanced, etc.” So walk us through how you would whittle it down, once you have an idea of who’s gonna be in the audience. Marie Perruchet: So you cannot address everyone in the room, but who are the people, the target audience, who’s gonna be the most relevant to grow your product or your business. So maybe you would pick a couple, or maybe three examples, you know, three case stories that is going to appeal and help the audience think that you’re trying to relate to their own problems. So let’s say, today when you pitched the interview to me, Poornima, you know we are both women, both interested into public speaking, we love video and talking about skills that can be relevant to specific audience. So already you had me there, ‘cause I knew you knew me, I can see you did your homework and research, and took the time and effort to make it relevant. Because we are all busy, we have less, and less time, we have very short attention span. So right away you have to be extremely precise, and be relevant, to engage, and actually instigate people to listen and keep listening to what you have to say. Poornima Vijayashanker: I really like what you said about, you can’t address everyone in the room, ‘cause I know a lot of people try to please everyone, and they’re just…it’s not gonna happen. So yeah, definitely tailoring it, making sure it’s relevant, to even a handful of people, can be really valuable. I know the last thing that you talk about when it comes to preparing, is actually doing the preparation practice. Walk us through what you recommend when it comes to practicing your pitch. Marie Perruchet: And I was quite impressed, because the reason why you have to practice, and it’s one of my signature exercise that I do during the corporate trainings, is that I have people line up, like speed dating, but they have to pitch for a minute, and then they switch and then they do it again. And I can tell you, the first few minutes, people are bored, and then the pitch ends after 20 seconds. But then, after they do it like four of five times, I have to yell and tell them you have to stop. ‘Cause first, you know, they get inspiration, they get idea, and they go straight to the point. They cut to the chase, and they don’t give information that’s not relevant anymore, because they see that effect that they have on the face of their audience. So practice is very important. Also, practicing in a room, meaning that every time that I go and speak to a conference I arrive an hour before, to do the recognition of the room, knowing where I’m gonna walk, where I’m gonna get closer to my audience so that I don’t ostracize part of the room, because otherwise that part will leave the room, and as a speaker, you don’t want that. And I would say the third advice that I would give, is practicing using the technology. So you can use your tablet, you can use your phone; so you record it, and that’s OK, to look at yourself. I know we are all the worst judges of ourselves, but then you play it with the sound and no image, without the sound with the image, and you can see and correct all your filler words, your repetitions, the “ehm, uhm,” but also if you’re flapping your arms, if you keep touching your nose, or playing with your rings. And then, over time, maybe you’re not gonna change overnight, but you learn how to be aware, what are the mistakes, where you can improve, and then manage it over time, and manage that anxiety of public speaking, but also knowing that your story cannot be perfect from the very first day. It takes time and it needs adjustment, you need to tailor it, and also understanding that it’s for your audience, it’s not for yourself. Poornima Vijayashanker: That’s great Marie. So how do you know when it’s ready to go? Marie Perruchet: How do you know if your pitch is ready to go? Don’t wait. You have to do it right now, and start practicing with your friends, with a colleague. Great way to say is, “I have an idea, I have to present it to the management, to a partner, I’d love to get your feedback.” Make sure that the person is qualified to give your feedback, not everybody is able to do that. But, “Hey, can I have a few minutes of your time? I’d like to run a few ideas.” And then, take notes, or videotape or record with your phone what they’ve just told you. You have to be able to listen. Integrate that feedback, and then replace it in your next pitch. But don’t wait, you know, the previous night before your presentation, to pitch. You have to practice beforehand, because also what’s important, is that you will see the journey, and it will give you a lot of confidence. Poornima Vijayashanker: Yeah, I think that’s valuable. And as you record yourself, you do see that progression. So, I know for a lot of people that I coach, they then realize they have made a lot of progress, because it’s been captured. Poornima Vijayashanker: Well thank you so much Marie, for joining us, and I know our audience out there is gonna get a lot out of these segments. And be sure, audience, to check out Marie’s book, One Perfect Pitch. And for people who wanna get in touch with you, what’s the best way? Marie Perruchet: To me what’s important, is impact. I’d love to hear from you guys, you know, check the book, dive into the exercises, learn how to work around a method, and get back to me, tell me how it impacted your work. Whether it helped you refresh your ideas, your communication, pushed you to pitch more. I’d love to hear you, so you can connect with me on LinkedIn, Marie Perruchet. You can follow me on Twitter, send me messages through Instagram as well. You know, I love text messages, so please get in touch, I’d love to hear from you. Poornima Vijayashanker: That’s it for our episode on pitching. Be sure to subscribe to our YouTube channel to receive the next Build episode, and special thanks to our sponsor, Pivotal Tracker, for their help in producing this episode. Ciao for now.